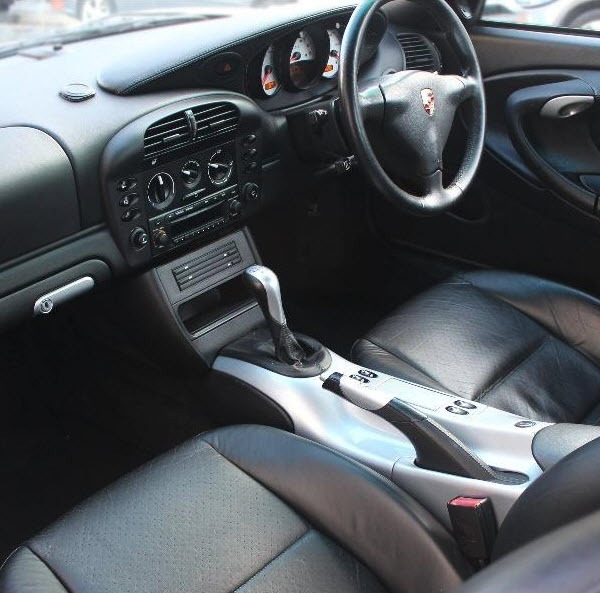 911uk.com - Porsche Forum : View topic - Does anyone know this 996 GT3? 911uk.com Forum Index > 911 GT, R & RS Models (1973 - current) > Does anyone know this 996 GT3? Posted: Wed Mar 07, 2018 2:56 pm Post subject: Does anyone know this 996 GT3? Any info appreciated, PM if preferred. Looks a nice car although none CS 996 and 997 GT3's are tricky to sell at the moment unless they are very competitively priced. On a serious note, it looks stunning in that colour and priced well. It's non CS and has manual a/c which is awful it's also had several owners, which personally I don't see as a huge issue but as the GT3 market becomes more focused on values some may. I am hoping one of the previous owners will chim in, unrecorded damage is always the concern. Great spot on the tyres! 10 year old rubber could indicate the cars not been tracked, or it's an elaborate roose and their off e-bay as the cup 2's were mullered at Knockhill! Still torn between a 96 GT3 or 97 TT. A comfort with the heavy seats and yet the climate control deleted (no cost option). Pretty bizarre and nobody will ever pay a premium for that spec, but that doesn't make it a bad car per-se. that's NOT got AC.. its been deleted, the button you see is air recycle. The owner is a regular on PH (cant remember his name) I know he had it for a while. A comfort with average miles and no air con for £60k! 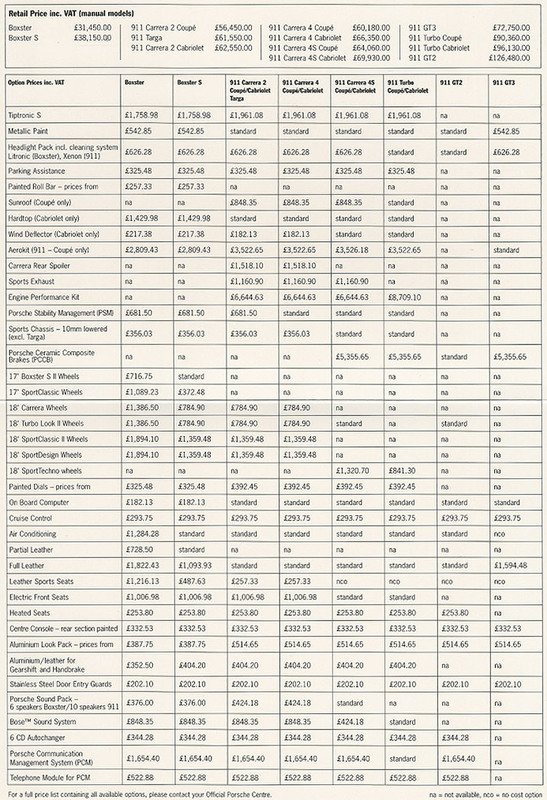 This is where the market is, the less than desirable spec makes it the cheapest non-cat car in the UK. Why would you spec no AC? That makes no sense to me. 15 years ago when men still had hairy chests. I couldn’t cope without air con now. Difficult to gauge current prices. The market is well spread out at moment. Unfortunately I will be getting rid of my red 996.2 imminently. It’s a late 2005 (55 plate) 3 owner car in guards red with nomex buckets, tequipment cage etc... It’s just turned over 60,000 miles. Was serviced by Nine Excellence immediately before being sorned for the winter. I get ya but it’s clearly not a race car. Not to you, but to the track day warrior who specced it??? That doesn't compute either as if that were the case then why did they delete the buckets? [IIRC: Buckets were standard, deleting for sports seats was a no cost option. Reinstating aircon was a no cost option, but crucially it was an option. Reinstating the centre console was also an option (something in the mists of my memory seems to think it was not free though and priced at about £120, but not positive)]. Seriously - if it were a track day warrior spec : buckets and Clubsport (cage, harness, extinguisher) were zero cost options on the 996. So that isn't it. What I strongly suspect happened is that they forgot (and the dealer didn't point it out) to select the non-cost option to reinstate the climate control on their comfort car when ordering it. I don't imagine that anyone would deliberately have specced a non-bucket seat car with Xenons and a console with a CD holder but without climate control. It is astonishingly rare though - there were only a handful of even Clubsports and RSs in the UK which were specced without climate control. Am I sure about what ?